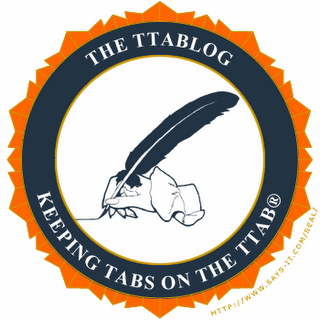 The TTABlog®: TTABlog Reaches its 13th Anniversary! TTABlog Reaches its 13th Anniversary! The TTABlog was launched on November 8, 2004, with a blog post entitled "Leo Stoller Loses Again" (here). Remember him? Here we are, thousands of blog posts (and nearly 10,000 tweets) later. Thank you to all you readers! Maybe I'll see you at INTALM ! Thank you. Welcome to being a teenager! And a big thank you for your diligence with this blog. It is on my daily reading list -- because it is so helpful. You are doing a great public service. Thanks for your hard work, John. I read your blog every day; essential to my practice. Congrats John! Great resource. Keep up the good work! Absolutely fantastic blog. Has become an essential for my office. Appreciate the hard work and commentary. Congratulations John, I have learned so much from your work, your blog and humor are greatly appreciated. John, I join in the congratulations on your years of success and building your blog into a key resource for every trademark practitioner. Thank you for your hard work. Thank you for helping make us all better at what we do. And, thanks for the humor (sort of). I too enjoy your comments and have learned so much reading your blog. Thanks for providing an excellent resource. Continue on.